Animals regularly need to be captured and moved from one place to another; this is known as translocation. 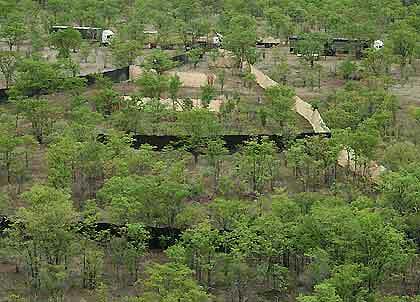 For many reasons, translocation of wild animals becomes necessary from time to time. 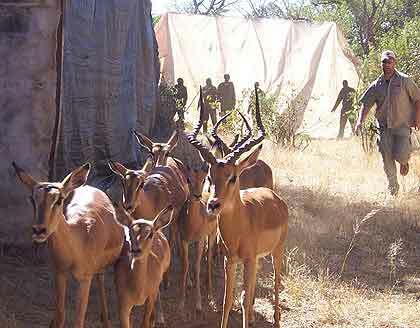 In this story the animals concerned are impala being relocated to a more appropriate place for their survival. 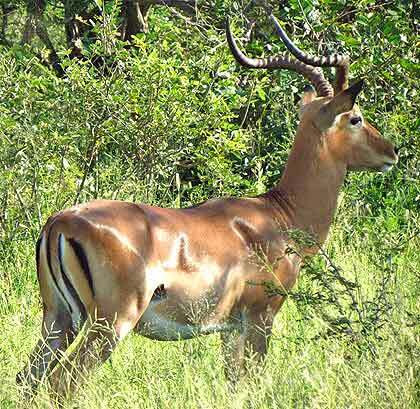 Impala are referred to by nature fundis as bushveld fast food. Hmmm… well, fast food if you’re a lion, leopard, hyena or wild dog. They’re known as the McDonald’s of the bush because they form a large part of these predators’ diets and they are fast and food. Even the young are often taken by pythons. Our bush is teeming with impala. Here, there are few predators and herds of these graceful buck can be seen all over. What’s really remarkable is that these reddish brown and white and fawn creatures can melt away unseen into full green cover or dry twigs and sticks in a moment. To look at one of these buck, you’d never believe the grunts, growls, snorts and rumbling they’re capable of making, some people even think they sound like leopard. Then there’s the leaping and pronking that goes on if they panic. Should they spot danger, their snort in alarm is all it takes and the whole herd will scatter. “K joined the capture and really got stuck in. 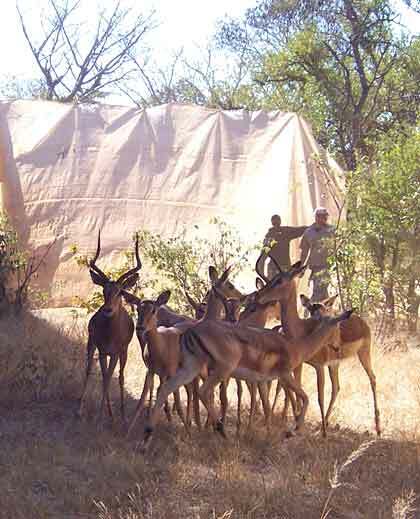 Unfortunately while hand-catching the adult impala rams from the boma crush (for tranquillization, blood sampling and horn-piping) he discovered that he is very allergic to impala (surprisingly a large percentage of people are)! 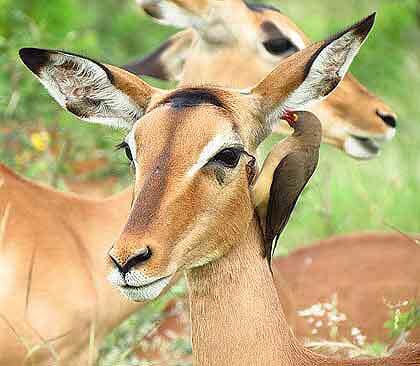 You may find you’re allergic to impala but watch out for the vet!